‘Tis the season to consume chocolate effigies of bunnies, chicks, and gigantic eggs. But given the choice, we’d much rather rifle through all that fake plastic grass in our Easter baskets to discover this incredibly detailed solid chocolate Baby Groot. Although, we’d be too impressed to devour it. Sugar Spice Cakes is responsible for this milk chocolate maquette of what will probably be the best part of Guardians of the Galaxy Vol. 2 when it hits theaters here on May 5. 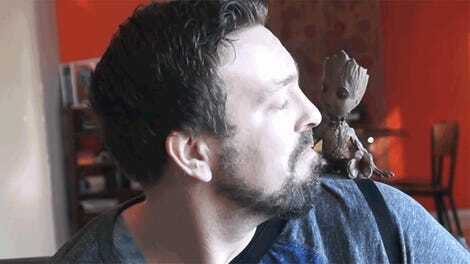 You sadly can’t buy this chocolate Baby Groot to surprise your kids with on Easter morning (or to just eat by yourself while hiding in the basement), but you can make your own as Sugar Spice Cakes has a 45-minute tutorial available for purchase on Vimeo that walks you through all the steps. Are you excited for Guardians of the Galaxy Vol. 2 yet?